I took few screens of Shava tv today (october, 2012). 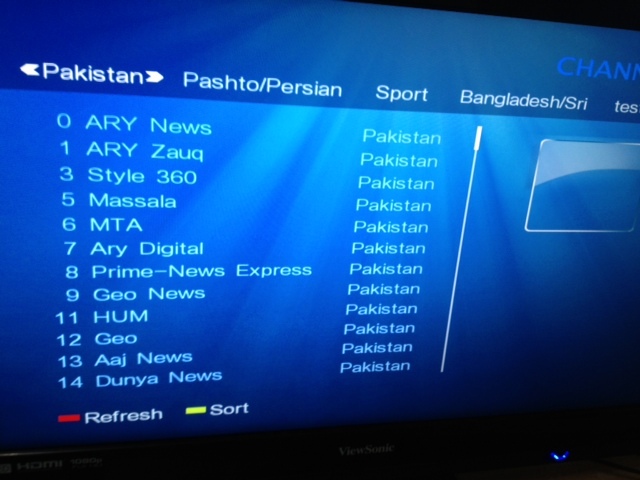 You can see how the Menu on Shava Tv looks like and few provided channels. please note, I could not capture all the shava channels after the scrollbar, there is a sports category too for Cricket fans, if you want this box to watch any other sports besides cricket, then please dont buy. there is arabic & bengali category as well. if you need to see more screens then let me know. Where is perth? did you try their website? 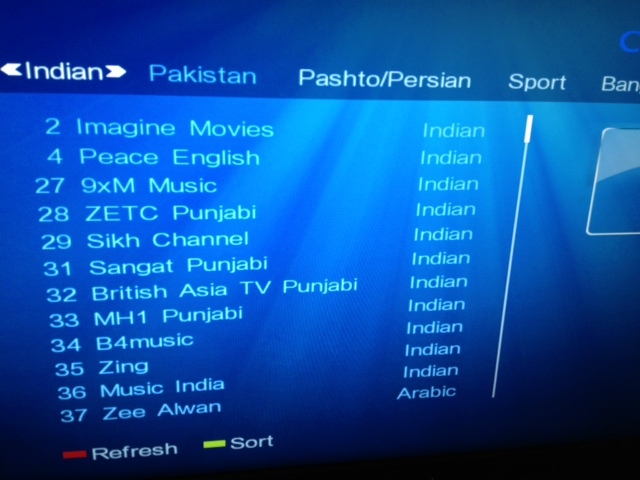 I recently purchased SHAVA TV and am not getting many indian channels. I only have a bout 15 channels, none of which are the ones i'd like to watch. Is there a procedure i'm missing? or does it need to be updated? I also keep getting an error message at the beginning when starting up saying that my account has "expired". Any idea about that? There is nothing you can do to ADD CHANNELS, however seeing a message "Account Expired" is something unusuall. you might want to call them for this. Shava is crap box. do not buy they try to do same crap over and over. If someone not happy with Shava TV box may like to sell. also mention how much you can sacrifice? shipping to New York included. Our Shava box is allmost out of work. Hum TV,Geo,Ary and many more. All those interested in buying Shava tv here is what you would need. 1. good internet connection at least >5MB speed. 2. u can buy from amazon.com. Or put shava tv in google and get search options. there is one website that list where u can buy it. Even ebay has it. 3. best is to connect ur shava tv directly to your router rather than use the wireless adapter that comes with it. I have seen at work at 3 places. No problem so far . even my mom has it.